Deciding what to pack for Peru can be quite a challenge, as weather and temperatures vary greatly depending on when and where you go. 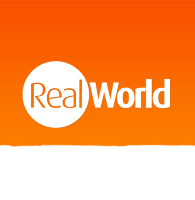 In the Andes, and at altitude in general, it can feel very warm during the day and extremely cold at night, plus, rain showers are common, even in the “dry” season! It’s obviously not practical to pack your entire wardrobe, but multi-season clothing is essential, so we take a look at what to pack for Peru, whether you are trekking the Inca Trail or exploring the Amazon Rainforest! Sturdy, comfortable shoes are a must, preferably walking boots, as the site is mountainous and uneven underfoot, and there are steep steps to negotiate. Exploring Machu Picchu properly is a long day, so good footwear is really important. Layers will be your best friend whilst visiting South America! The weather often changes very quickly, and temperatures can plummet on an evening in the Andes. Make sure your top layer is waterproof as well! Put all your essentials in a day pack, as you’ll be spending the whole day at Machu Picchu and won’t be able to pop back to your hotel if you forget anything. Essentials should include extra layers, a waterproof, drinks and snacks, and of course, a camera! And most importantly, don’t forget your passport, as you’ll need to show it at the main entrance. 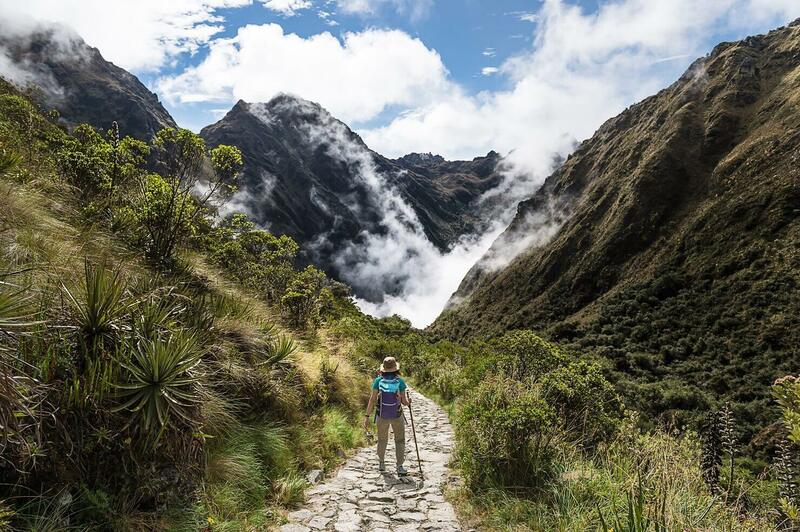 Our ‘Everything you need to know about the Inca Trail‘ page includes an in-depth packing list, as well as tips from people who’ve actually done it, a day-by-day trek breakdown, and even a ‘what not to pack for the Inca Trail’ list! 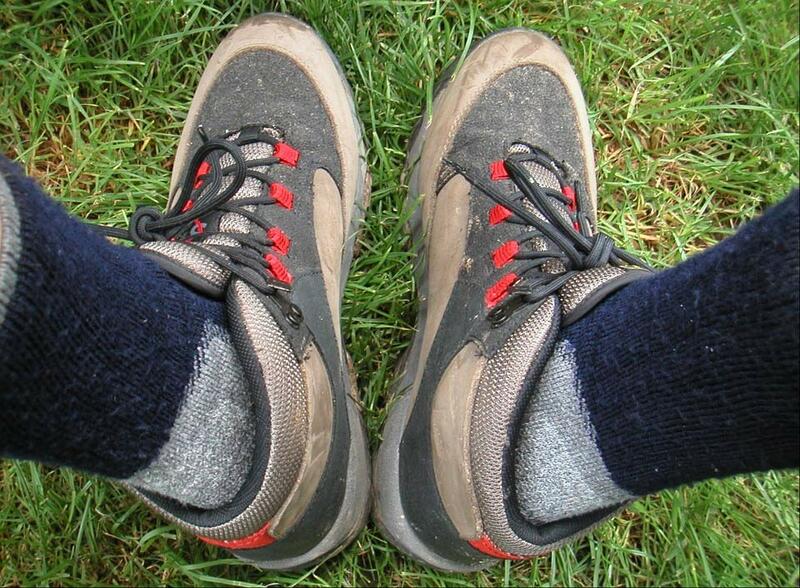 Merino wool socks are always top of Inca Trail packing lists! 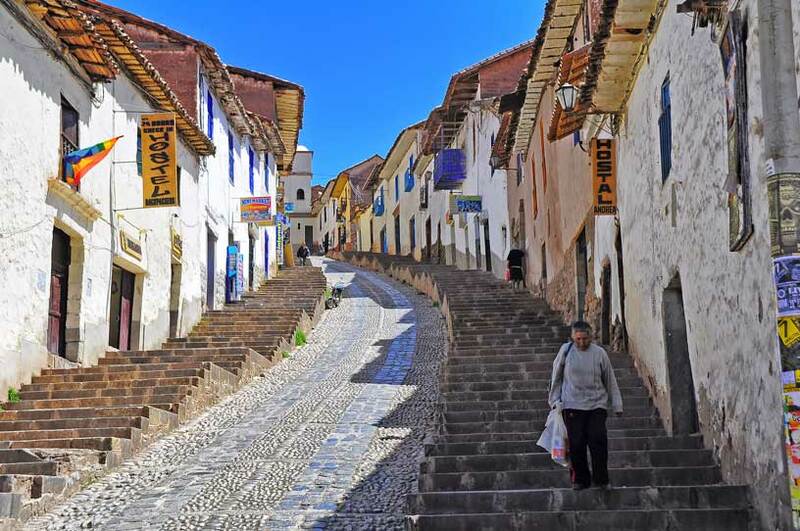 Due to the higher altitude, Cusco, Arequipa, and Puno experience fairly stable year-round temperatures in the high teens Celsius. It’s often much cooler on an evening, especially during the winter months, so warm clothing is essential. Rain is frequent during the wet months of November-March, but pack a raincoat even if you’re going in the dry season, as rain can be expected year-round. Sun cream might not be on your packing list for Peru, but you’ll be surprised how quickly you burn when the sun comes out at altitude! You’ll need sturdy shoes as many of the streets are cobbled and uneven, so high heels are a no-go! If you’re taking a camera that needs them, pack extra batteries, as they run out much quicker at higher altitude. If you’ve booked a trek through a tour operator, much of your equipment will be provided, so check before you go to ensure you don’t double-up. You shouldn’t need a tent, as most companies will provide a good quality, all-season tent for you. In most cases you can rent a sleeping bag, which saves you carrying one with you if you’re continuing your holiday after the trek. Again, we recommend one which is suitable for all-seasons, as it will get very cold on a night. Walking poles will be a great help, especially on your knees during the descent, and the fold-up ones are a great, space-saving option. You’ll need a well-fitting backpack, to carry your personal belongings for the duration of your trek. You should be able to leave your main luggage safely at a hotel to pick up afterwards, unless you won’t be returning, in which case you’ll need to pack lightly! We recommend having a daypack or lots of easy to reach pockets, to store things like water, snacks, camera, and jumper. On certain treks, such as the Inca trail, you can pay for an extra porter, who will carry your main backpack, leaving you free to walk unencumbered. It doesn’t get more adventurous than trekking in the Andes, so make sure you’re properly prepared! Walking boots are the best type of footwear for the Amazon, as you’ll want comfortable, sturdy shoes for walking in, that will also protect your feet from stinging/biting insects and muddy, wet terrain. Mosquitos can be a problem in the jungle, so an insect repellent with DEET in it is essential. As are long-sleeved tops and trousers, so there’s less skin on show to tempt mosquitos! In case you do get bitten, take an anti-itch cream and antihistamines in case you have a reaction to the bites. If you go canoeing or walking near rivers, it’s advisable to have sandals or shoes you don’t mind getting wet, as walking boots often take a long time to dry. Swimwear is also an option if you want to join the pink dolphins for a dip! The rainforest can get extremely humid, so taking extra clothing and thin layers is a good idea. The lodges in the Amazon are well-equipped with first aid kits and trained first aiders, but you may want to take certain medications, like pain killers, antacids, throat lozenges etc. as you won’t be able to buy any while you’re there. Finally, a torch is a great additional item for your Amazon Rainforest packing list, as the jungle comes alive at night so it’s the perfect time for wildlife-spotting! 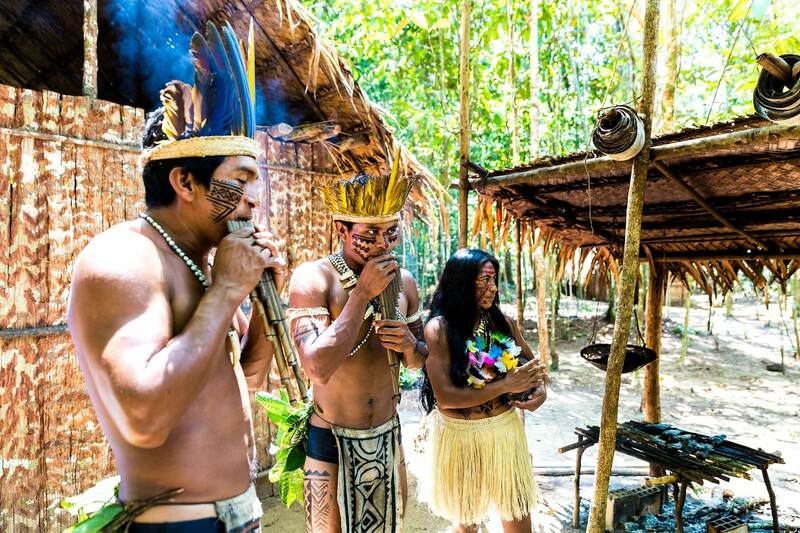 You don’t have to dress like the locals, but suitable clothing is a must in the Amazon! 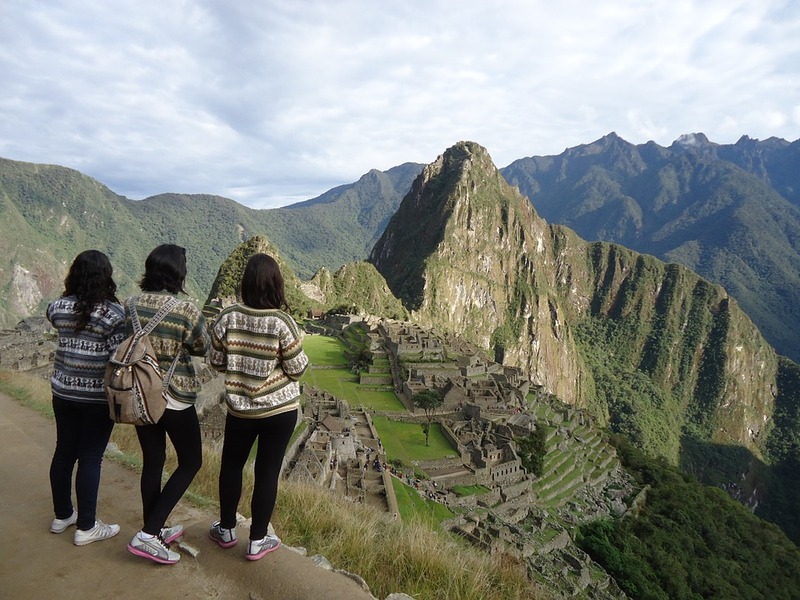 What to pack for Peru will vary from trip to trip, so ask your travel advisor for specifics. For more packing lists and general travel information, check out our Peru Guide. And how about reading our Backpack vs Suitcase blog post if you’re struggling to decide what type of luggage to take to Peru? Or see itineraries and prices for the most popular Holidays to Peru! Next post What to pack for Brazil: 25 things you’ll wish you’d remembered!